Were you ever asked that? I was, and I had no bloody idea. “I’m going to go to sixth form and study three topics that I’ll pick on the final day for decisions for A-Levels. Then I’m going to fail two of them right away and quit a few months in. After that I’ll get offered a job working in a warehouse. I’ll take it and attempt to complete my English A-Level whilst working a 40-hour-a-week job with a commute. I’ll fail the A-Level, but I’ll have money to buy checked shirts and CDs so I’ll be happy. About a year in I’ll have a bust up with the boss and I’ll quit, cycle home and tell my mum (with whom I’ll still be living) that I’ve quit again. Then, from out of nowhere, a phone call will hand me job in a petrol station. I’ll work there for a bit, move up to a manager position, move garages, lose loads of money from thieving cashiers and then quit (again). I’ll then be offered my old job at the first petrol station and I’ll work there for exactly a year before – yep, you guessed it – I’ll quit! … I didn’t say that, but it all happened. It’s funny how life works out, isn’t it? Now? Now I’m happy, running my own business and doing the only part of the van job I loved. I’m doing it 100% of the time now. But I only got here by meandering through life and taking chances, making decisions and making mistakes too! I quit many times when it wasn’t working. When I finally quit the petrol stations it was because I felt like I’d be there forever if I didn’t do something about it. If I didn’t have the pressure to find something else. Just six days later, I landed a job that would eventually pay me nearly £35,000 a year. You see, what I’m trying to say is this: you must make a decision. I still make them now (although not as drastic), and I’m slowly learning that I need to keep making them. I’m learning that those decisions that made no sense at the time were some of the most important decisions I ever made. Now I try to work on vision and goals and all that jazz. I work on what I really want and where I want the business to be (and my life and all that too!). Now I know that I should have answered that question at school like my good friend Jon did. Jon had vision aged just 16. Jon knew what he wanted to do and he told that same careers officer what it was… and they laughed at him. So what does Jon do now? Yup… he’s a rock star (nearly). Jon owns his own studio, he works with loads of bands and he tours with The Damned all over the world as their roadie. Jon is in several bands and you can buy his music from iTunes (something that was merely a dream back in 1995 as Apple weren’t even a thing until ’97!). Jon had vision and he believed it because he was naïve… in a good way. Jon was so focused on his music that he couldn’t see anything else, and now that’s all he has. He’s an inspiration to me, and I always think back to that moment at school when I had no vision and he had one. One vision to be the rock star. You need it in your marketing and you need it with your social media. But here’s the part I’ve learnt recently that stops most people making it work. You mustn’t try to work out how you’ll get there, just know that you will. 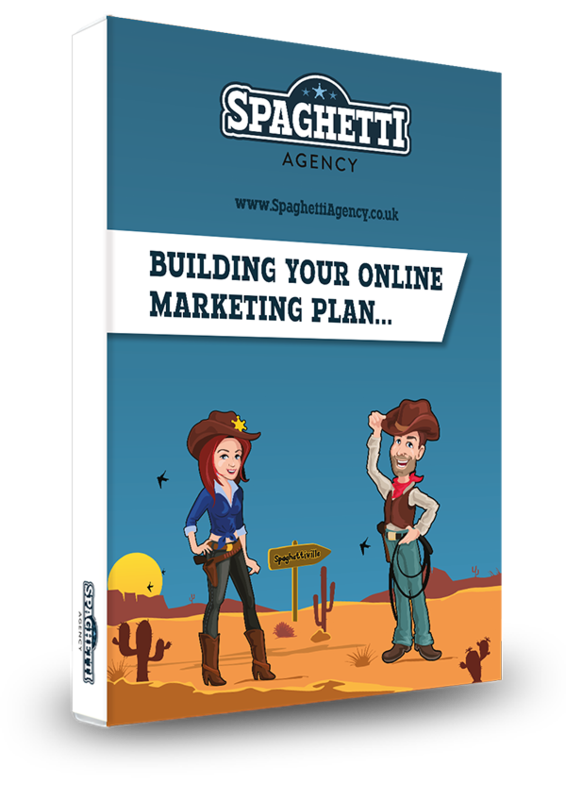 I’m often asked about the ROI of social media and what we do here at Spaghetti Agency. That troubles me because not only is it incredibly hard to track social media, but it also means the mindset is wrong. We’re already looking at ‘how’ not ‘when’ with this ROI conversation. Social media is just conversations. Content is just helping others to get what you do. It’s just what us humans do to get into places and positions where things happen. 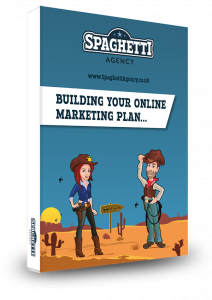 Without social media, my life would be nothing like it is now, and without making decisions, mistakes, wrong turns and wrong jobs, I wouldn’t be here right now writing this blog. I love this quote shared in the 1997 Apple advert for the Macintosh. “Here’s to the crazy ones. The misfits. The rebels. The trouble-makers. The round pegs in the square holes. The ones who see things differently. They’re not fond of rules, and they have no respect for the status-quo. You can quote them, disagree with them, glorify, or vilify them. But the only thing you can’t do is ignore them. Be the rock star in your business and life, just be prepared to be laughed at along the way. Four years ago, I was driving a van. Four years ago, I was divorced, unhappy and stuck. I simply made several tough decisions and I’m trying to keep making them. Four years on and I have a gorgeous home, partner and a little girl who’s just a few weeks old. I don’t regret not having visions before. I’ve learnt so much from all the mistakes, and each time I quit, I grew stronger – I took control. 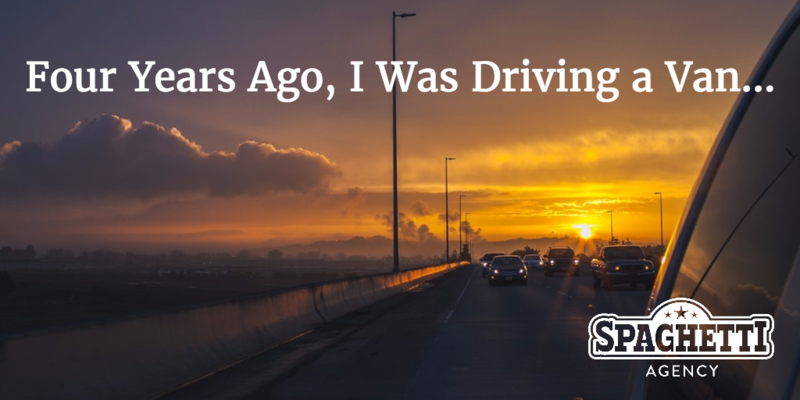 Four years ago, I quit for the last time… because now I’ll just change direction instead. I listen a lot to Gary Vaynerchuk. The guy’s an inspiration to me and he just so happened to work in a wine merchants and discover the power of social media. The correlation is too much to ignore for me. I’ll leave you with one of Gary’s quotes that I had as a screensaver on my iPhone when I saw him speak in London. If you’re not happy right now, you’d do well to save this photo too.